The contract was singned at the beginning of February and concerns the production of total of 43 dolphins elements – 17 piles with a lenght of up to 41 m and 25 smaller parts – pile overlays. The customer is Arbeitsgemeinschaft GSWP Finkenwerder, consisting of the companies F+Z Baugesellschaft, AUG. PRIEN Bauunternehmung and Taucher Knoth. The contract is related to the extension of the port in Hamburg-Finkenwerder for large ships berths. Dolphins are steel pipes, seated at the bottom of the reservoir, protruding above of the water surface, and used i.a. as a mooring handle. The construction and technology of dolphins production is very similar to the construction and production process of the monopiles – construction of wind farms, used for the foundation of transition pieces, tower and turbine on the seabed. This project fits perfectly into the production profile of the ST3 Offhore plant specializing in the production of various types of steel foundations for offshore wind farms. 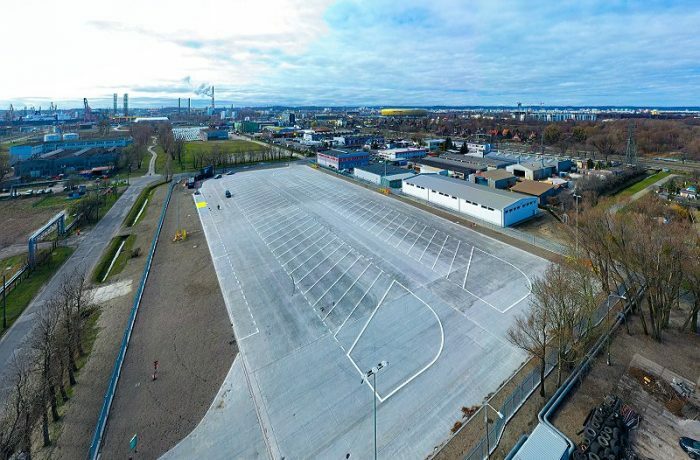 Factory’s equipment makes the Szczecin plant specializes in the production of this type of structures – it is possible thanks to up to date machines and the organisation of the productions lines – sheet metal coiler or a growing line. 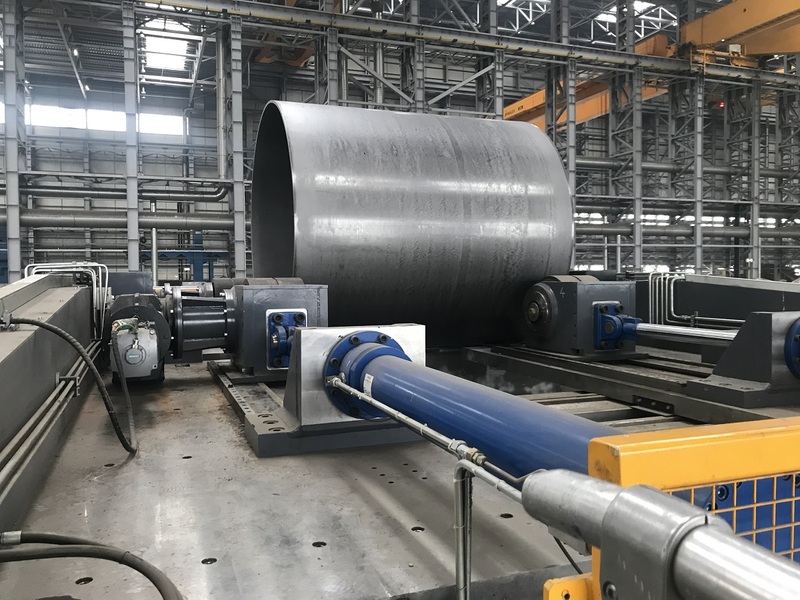 The contract is supervised by an experienced project manager, who is responsible for supervision of all stages of order execution – steel order, production schedule, organisation of transport, technical commissioning and delivery of the contracted structures. Although the start of production was planned for the end of March, the execution of the contract has already started. This was possible thanks to active supervision over the project implementation and organizing the delivery of the first week of March. The sheets are already ordered for the whole contract. Most of the steel for the project comes from Polish steel mills. The production started with sheet metal cutting and preparation of welding edges. Then the sheets will be rolled up and welded into cans. After being transported to the growing line, the individual cans will be automatically welded together to create dolphins of several dozen meters. The first receipt of dolphins overlays is planned for April. They will be transported by ST3 Offshore by land to the place where they will equipped and painted. All piles will be transported by sea, most likely at the beginning of July this year. The Szczecin company is also responsible for the transport of piles. 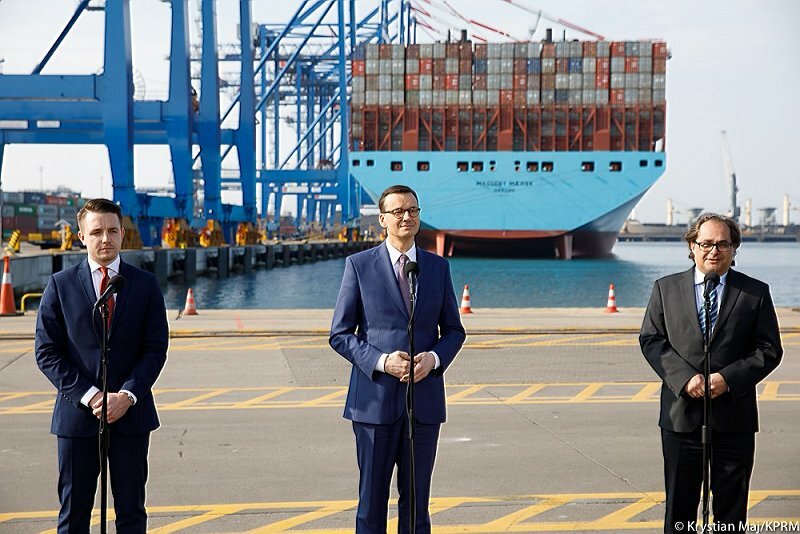 The contract negotiations were conducted with the customer‘s leading partner – F+Z Baugesellschaft, which is with its renowned and experienced design office responsible for the technical side of the port extension project. They ran in a very friendly atmosphere – this was certainly due to the fact that the team on the customer side knew the Szczecin factory and its capabilities – F+Z Baugesellschaft is a company founded from the sale of Bilfinger Marine & Offshore Systems GmbH (BMOS) to Depenbrock Group. 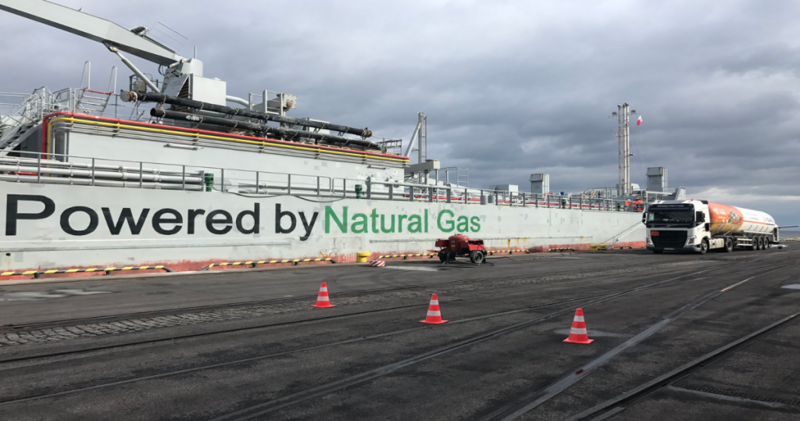 And BMOS was a long time parent company of the Szczecin factory within the Bilfinger concern and was engaged in the following activities – among other things, the construction of the factory itself. Both teams have known each other for years and know their competences and skills very well, which additionally strenghtened the trust in the Szczecin producer and resulted in the willingness to cooperate.